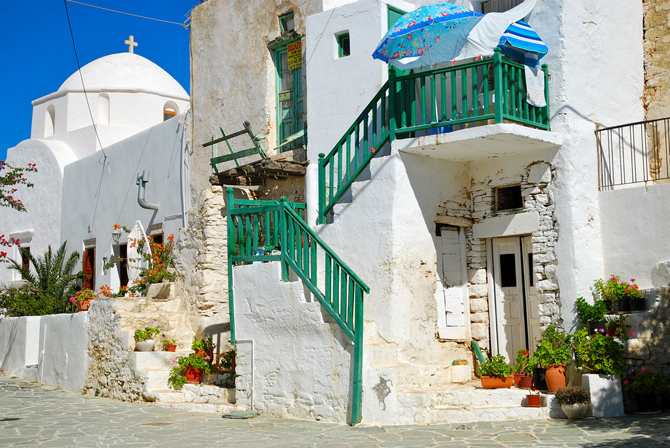 Chora (the main village) is perched on top of a cliff 200 meters above sea level. 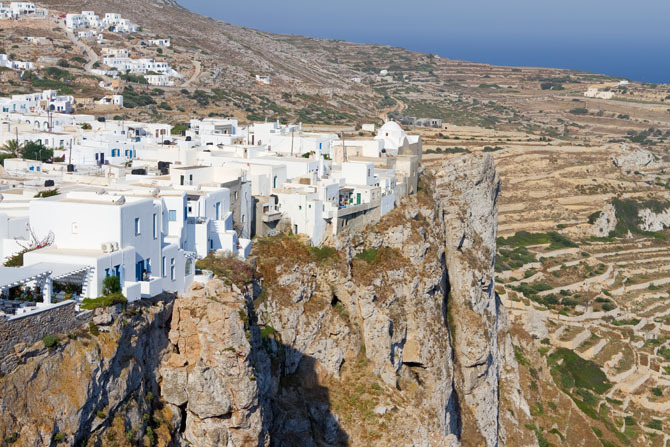 Such an impressive settlement could only be the capital of the island. 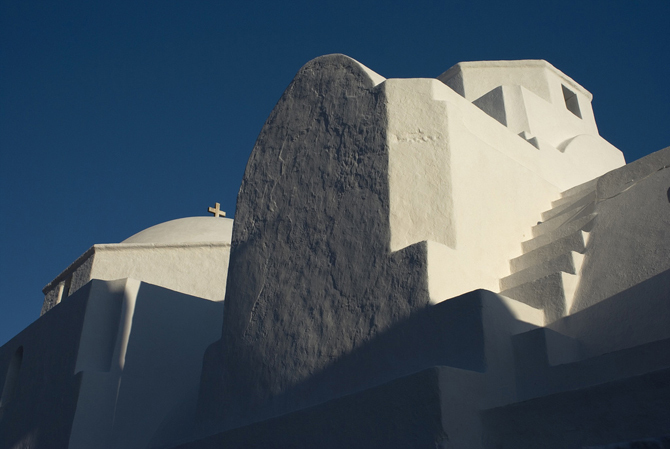 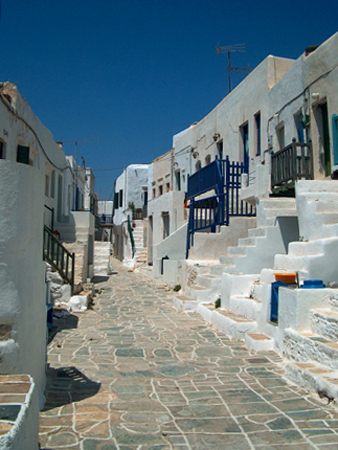 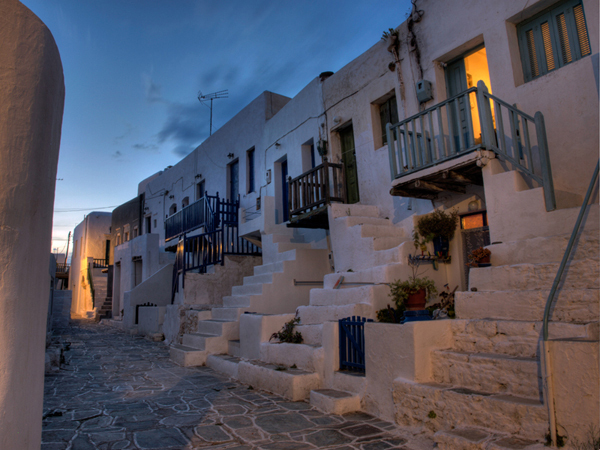 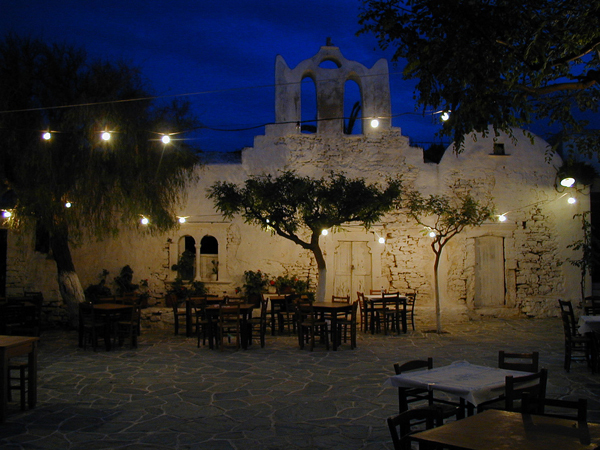 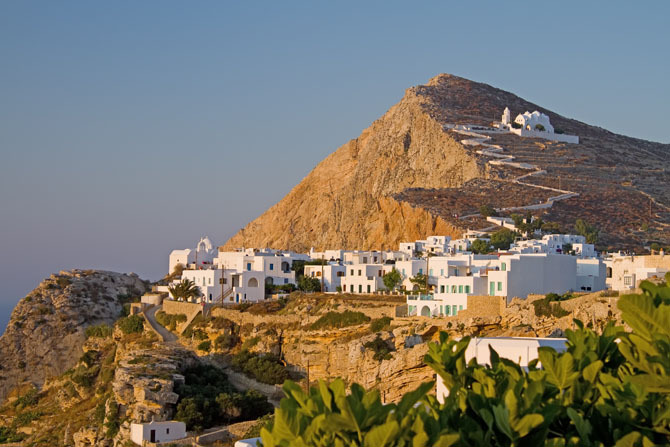 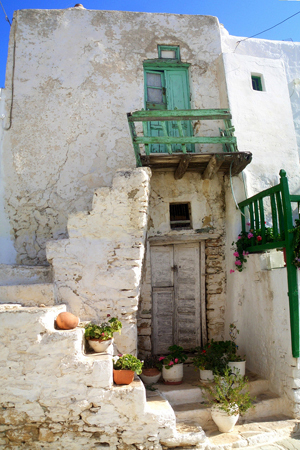 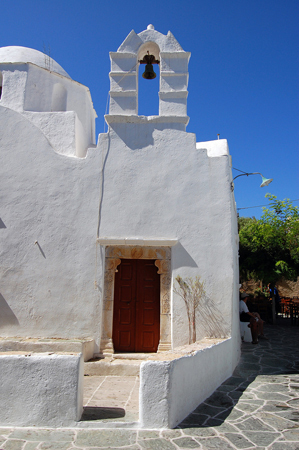 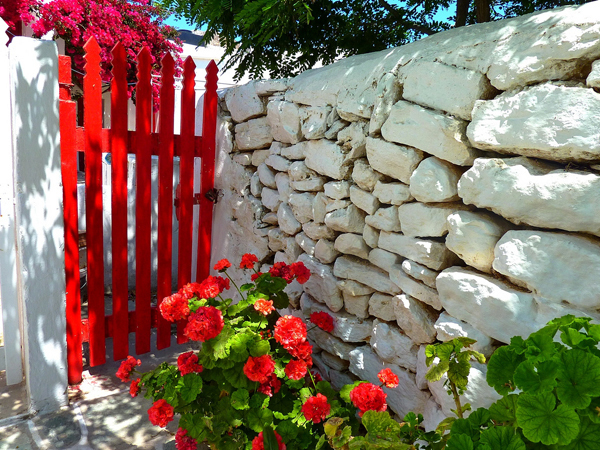 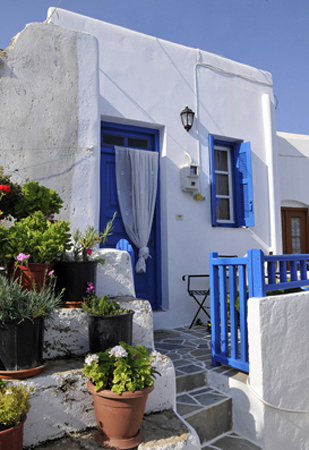 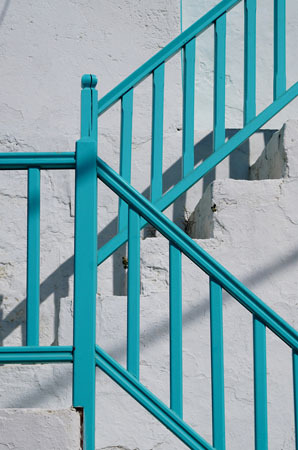 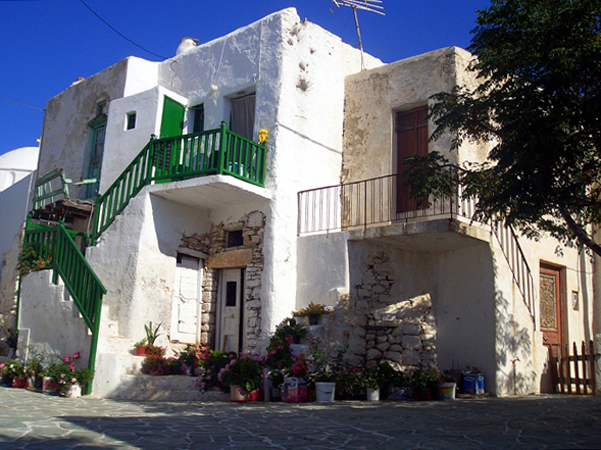 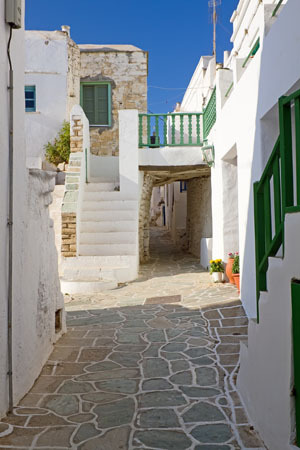 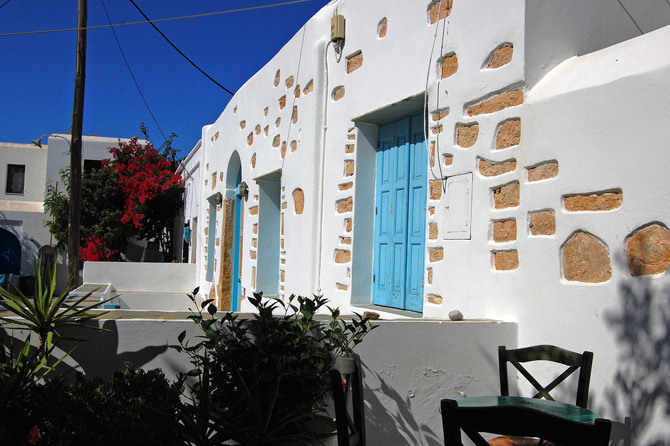 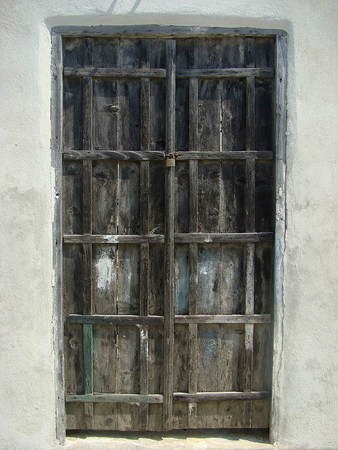 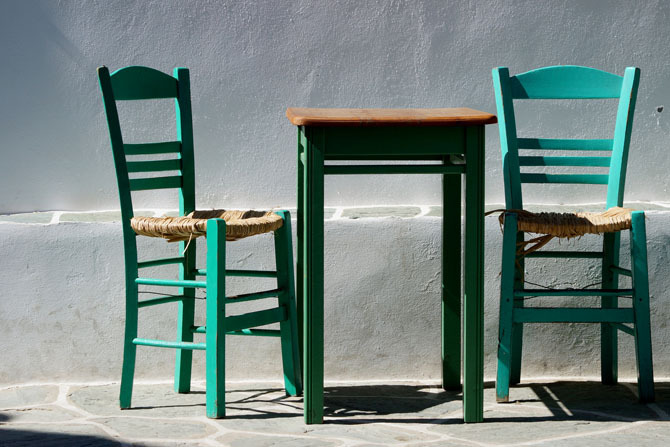 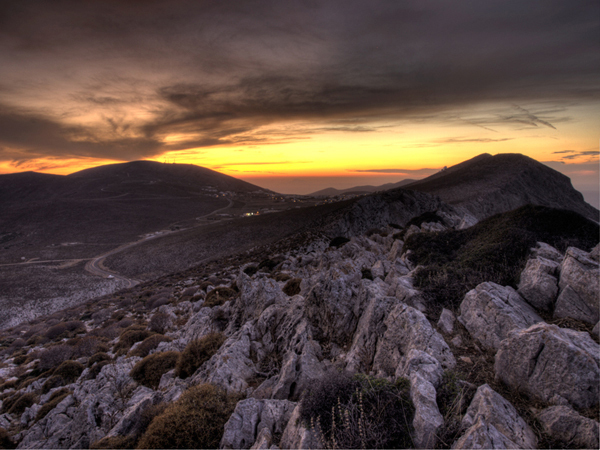 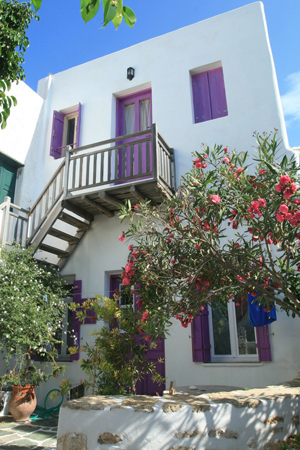 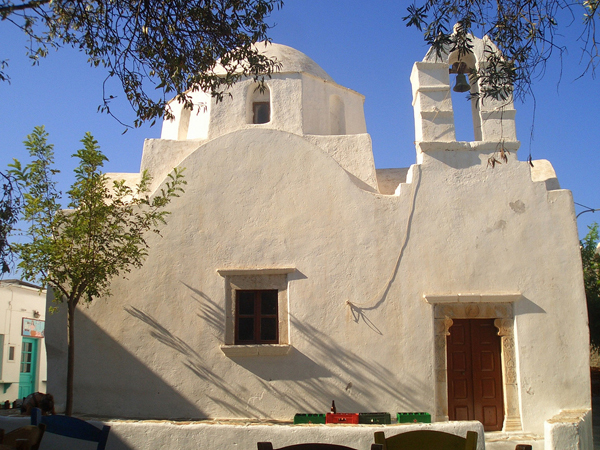 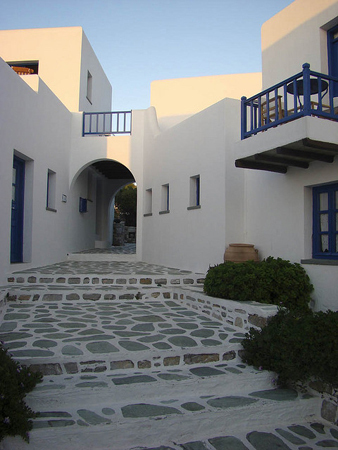 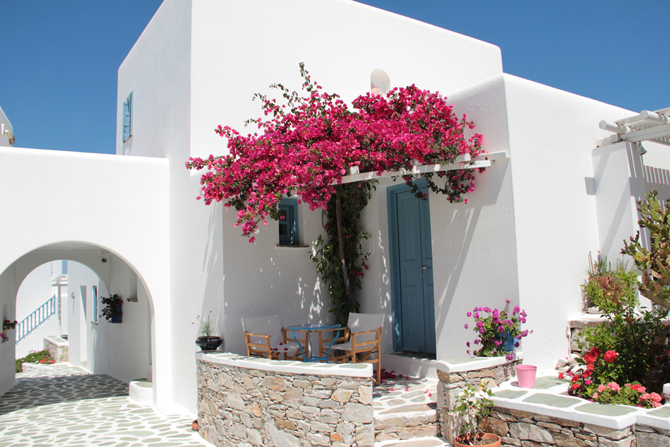 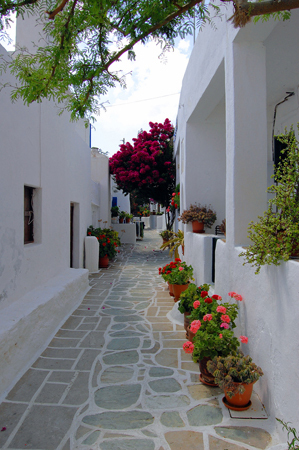 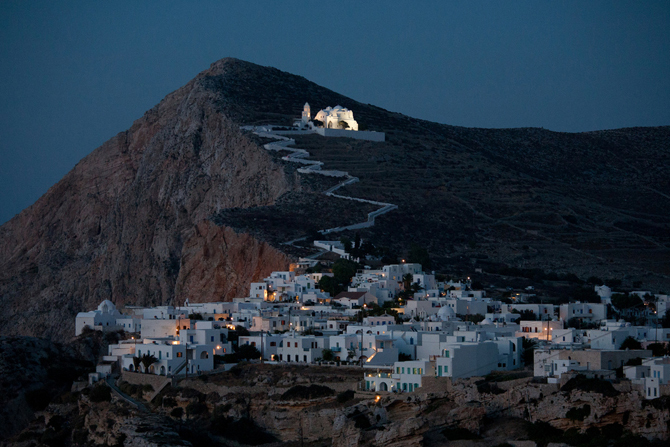 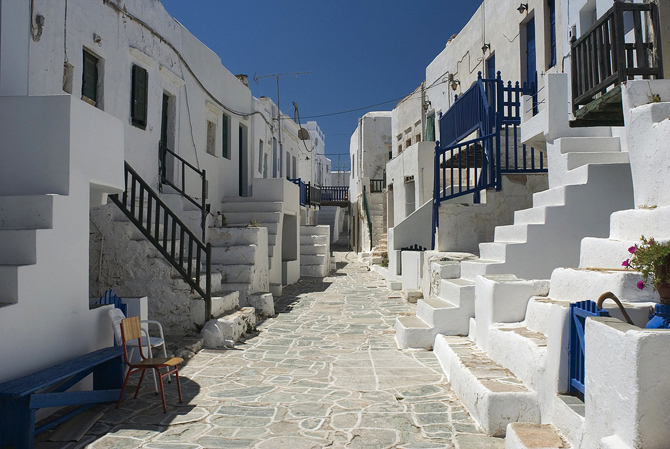 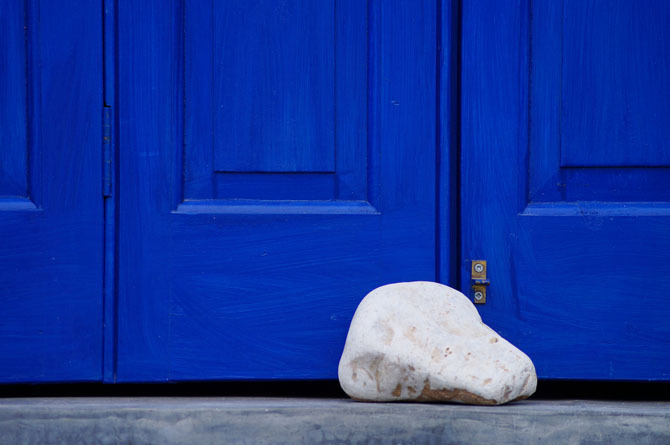 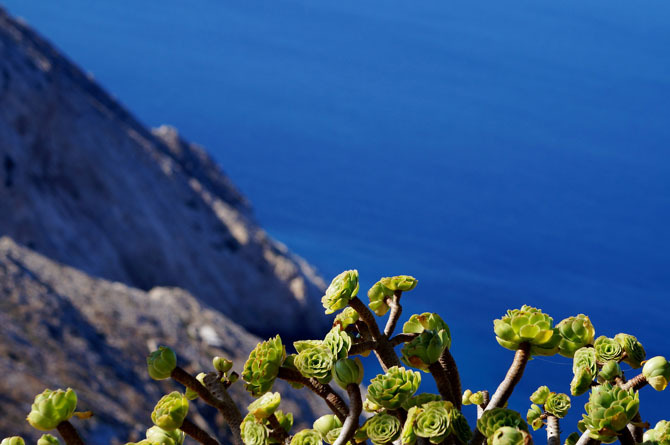 It is a picturesque and authentic Cycladic settlement, but also modernized since it welcomes visitors. 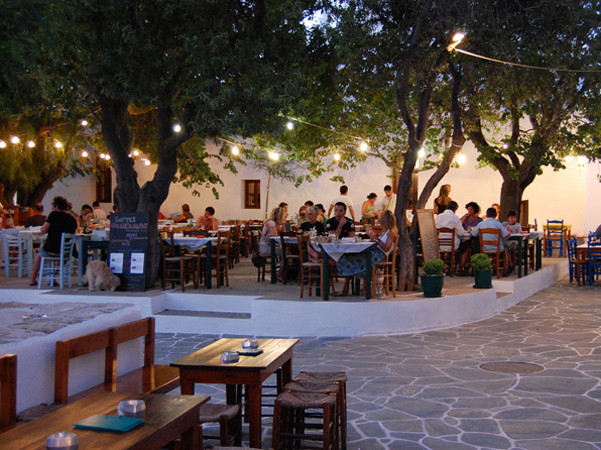 There is a lot to discover on the island: breakfast is served on local handmade pottery, there is an outdoor library, plenty of culinary delights, handmade crafts and more. 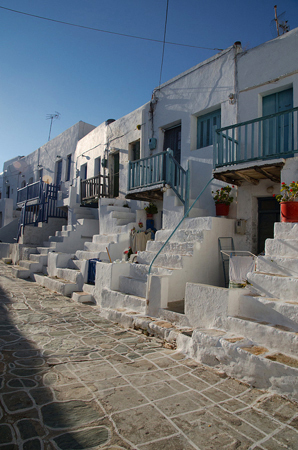 When entering the village, on your right you will see the medieval town in the Venetian Castle, which is very impressive with its inventive architecture for space saving. 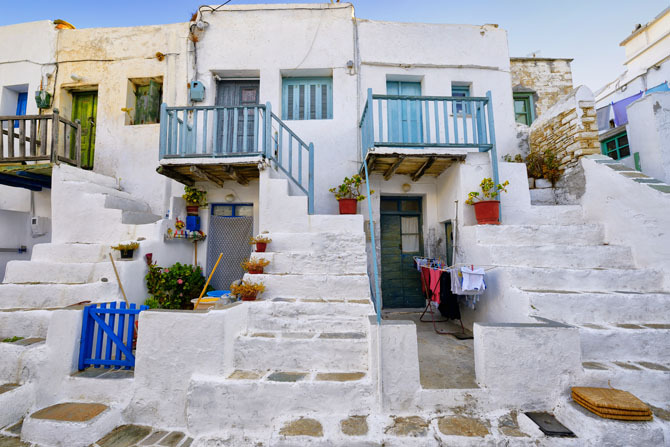 Wandering the cobblestone streets among the white houses and churches, with the scent of geraniums and basil lingering in the air, you will see bits and pieces of the lives of the residents, shops and workshops. 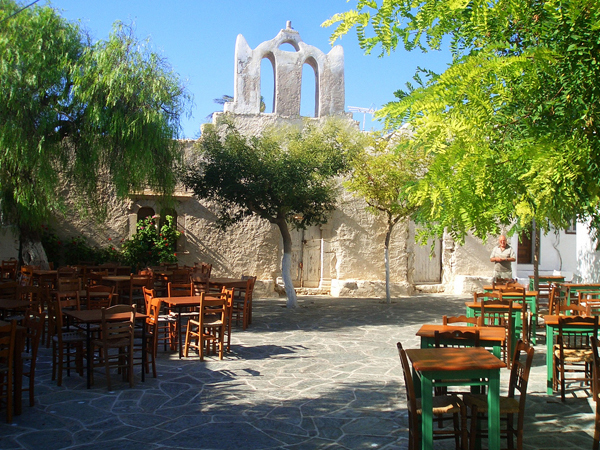 You'll find the squares of the Cretan and the Piazza where people gather and become one big happy family eating or drinking coffee or raki. 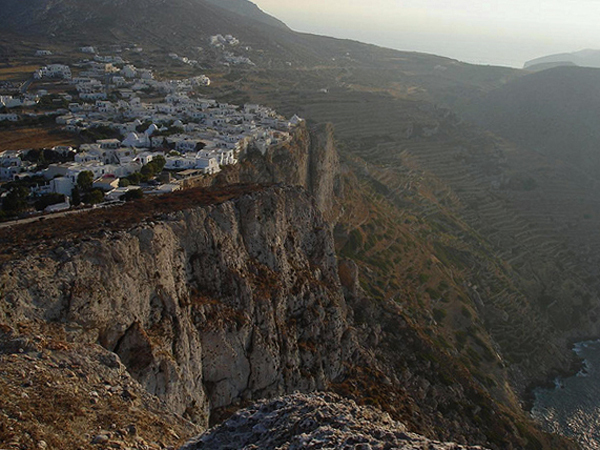 On the north side, if you climb the cliff, you can gaze out into the vast horizon. 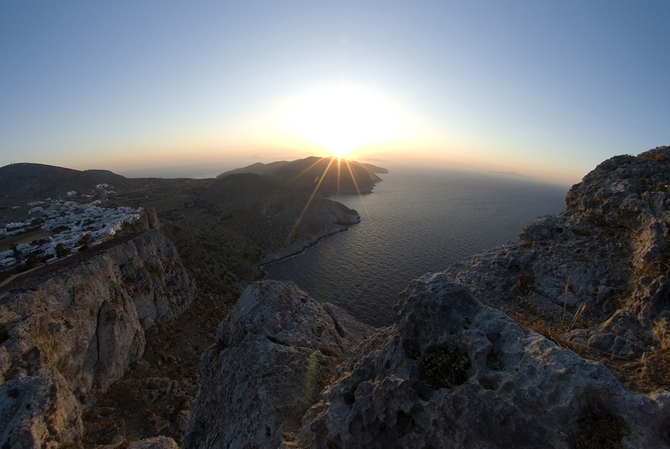 Make sure to be there during sunset at least once. 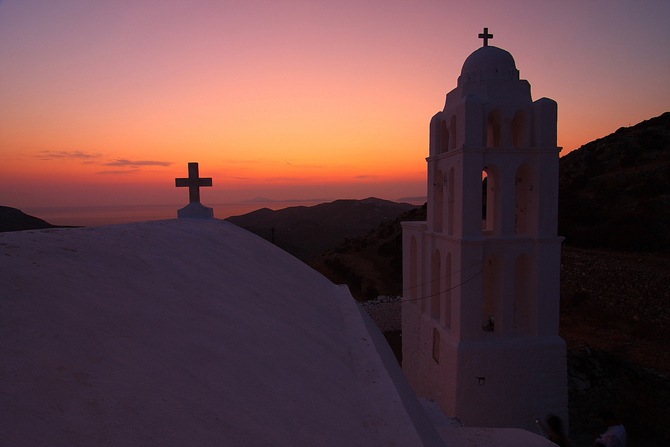 At the top of the hill you will see the church of Panagia (the Virgin Mary), another place worth visiting if only for the view.